Mohd Rozaliman Zakaria did Malaysia proud to bounce back from a poor outing in the practice and qualifying sessions by bagging strong results in the ninth edition of the Yamaha Asean Cup Race (YACR) which ended today in Manila, Philippines. Rozaliman who competed in the Automatic Transmission (AT) class finished both Race 1 and Race 2 in fourth place within a total time of 20’38.087s and 20’31.079s respectively. Anupab Samoon from Thailand took the win in Race 1 with a total time of 20’27.475s followed by compatriots Akrat Panjan (20’29.491s) second and Peerapong Boonlert (20’35.453s) third. As for Race 2, Indonesian, Toni Rahmawan appeared victorious with 20’19.107s followed by Akrat (20’24.498s) in second place and Peerapong (20’27.547s) third. Meanwhile in the Manual Transmission (MT) class, the Malaysian riders found themselves no match against Tamy Pratama and Agus Setyawan who took victory in Race 1 and Race 2 each. Tamy won Race 1 with a total time of 19’38.798s while Agus stamped his mark in Race 2 with 19’33.709s. Best Malaysians in this class was Mohd Shariffuddin Shamsudin and Ahmad Afif Amran. Sharifuddin completed the 20-lap Race 1 fifth overall with a total time of 20’01.637s while Afif went on to finish seventh in Race 2 with 19’57.139s. 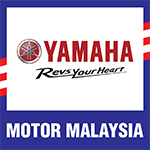 Although nowhere on the podium, Hong Leong Yamaha General Manager Sales and Marketing, Voon Yin Kong applauded the Malaysian riders for their efforts saying they did a great job throughout the weekend. “Our riders picked up a lot of new experiences in Manila. We know they feel a bit down about missing the podium but to have Rozaliman, Shariffuddin and Afif finish among top 10 is good enough because after all, this is their first YACR race abroad,” said Voon.